16 July 1975: Guadalupe dies in Pamplona, Spain, with a reputation of holiness. 6 January 2001: The Prelate of Opus Dei, Bishop Javier Echevarría, appoints Fr. Benito Badrinas Amat as postulator for the cause of beatification and canonization of Guadalupe. 30 March 2001: The Congregation for the Causes of Saints—after receiving the petition of the Archbishop of Madrid, Cardinal Antonio María Rouco Varela, and with the consent of Archbishop Fernando Sebastián of Pamplona—transfers the authority to carry out the diocesan investigative phase of the Cause from Pamplona to Madrid. 3 November 2001: The Congregation for the Causes of Saints grants the nihil obstat to start Guadalupe’s canonization process. 18 November 2001: First session of the process on the life, virtues and reputation for sanctity of Guadalupe in the Archdiocese of Madrid, presided by Cardinal Rouco Varela. 23 January 2002 - 11 December 2003: In 66 sessions, the tribunal interviews 32 witnesses, en Madrid. 6 - 28 May 2003: In 37 sessions, el tribunal hears the testimonies of 22 witnesses in Mexico City, to verify in situ the extent of the reputation for sanctity of Guadalupe. 9 May 2002 - 13 December 2004: The members of the Historical Commission gather all the relevant documents on the Servant of God, submit them and make a report on the same. 10 May 2002 - 3 January 2005: The theological experts study the writings of Guadalupe and present their opinions. 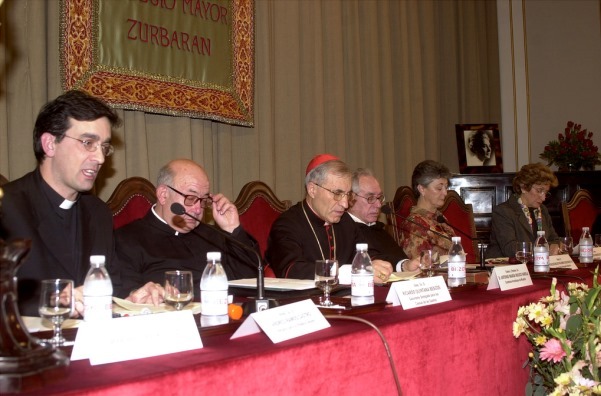 18 March 2005: Closing session of the diocesan process, presided by the Archbishop of Madrid. 23 April 2005: Submission of the conclusions of the diocesan investigative phase to the Congregation for the Causes of Saints, consisting of 3008 pages in seven volumes. 12 May 2005: The Prelate of Opus Dei appoints Fr. Antonio Rodríguez de Rivera as postulator for the Cause of Canonization before the Congregation for the Causes of Saints. 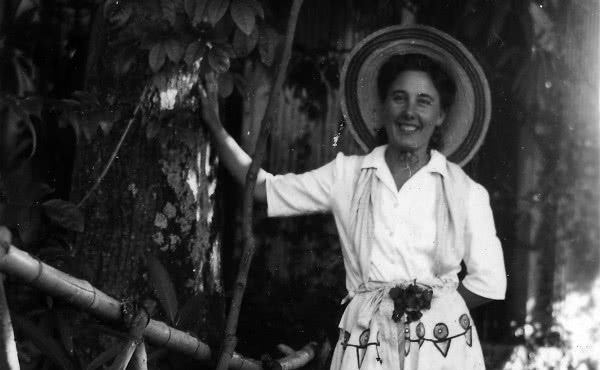 17 February 2006: The Congregation for the Causes of Saints issues the decree validating the diocesan process on the life, virtues and reputation for sanctity of the Servant of God. 5 May 2006: The Congregation appoints Father Cristoforo Bove, O.F.M. Conv., as chief relator to direct the drafting of the Positio super vita, virtutibus et fama sanctitatis of Guadalupe. 25 May 2007 - 16 January 2008: a process is held in the archdiocese of Barcelona to examine the cure of Antonio Jesús Sedano Madrid, attributed to the intercession of Guadalupe before God. 21 January 2008: The acts of the diocesan process on the cure of Antonio Jesús Sedano Madrid are submitted to the Congregation for the Causes of Saints. 24 October 2008: The Congregation issues a decree verifying the validity of the investigation carried out in the archdiocese of Barcelona over the cure of Antonio Jesús Sedano Madrid. 4 August 2009: The postulator submits the Positio to the Congregation. It has four parts: History of the Cause and Sources (25 pages); Documented biography (159 pages); Critical Study on the Virtues (215 pages); and Summary of the witnesses’ declarations, and the documents and writings of Guadalupe (656 pages). 7 June 2016: The theological consultants of the Congregation for the Causes of Saints, after having examined the Positio, give a positive reply to the question regarding the practice of heroic virtues on the part of Guadalupe, and her reputation for sanctity and favors reported. 2 May 2017: The ordinary session of the Cardinal and Bishop members of the Congregation give their positive vote on the heroic virtues and reputation for sanctity of Guadalupe. 4 May 2017: Pope Francis authorizes the Congregation for the Causes of Saints to promulgate the decree on the virtues of the Servant of God Guadalupe Ortiz. 5 October 2017: The experts of the medical board of the Congregation studied the documentation of the cure of Antonio Jesús Sedano Madrid and concluded that this instantaneous, complete, and permanent cure has no scientific explanation. 2 January 2018: The Positio on the assumed miraculous cure of Antonio Jesús Sedano Madrid is submitted to the Congregation. 1 March 2018: The theological consultants of the Congregation give a positive response to the question of the attribution of the extraordinary cure of Antonio Jesús Sedano Madrid to the intercession of Guadalupe. 5 June 2018: the ordinary session of cardinals and bishops belonging to the Congregation affirms that the extraordinary cure of Antonio Jesús Sedano Madrid must be attributed to Guadalupe’s intercession. 8 June 2018: Pope Francis authorizes the Congregation to publish the decree on the miracle attributed to Guadalupe’s intercession.